Will ensure effective knowledge exchange through various training tools among project partners. 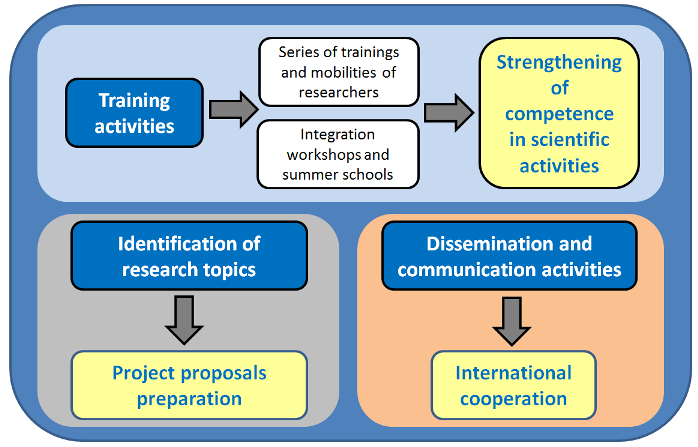 Will ensure knowledge transfer of information on project activities to all interested stakeholders through the website, e-Newsletter, publications and presentations at scientific and other events. Will strengthen cooperation among the project partners and formulate a scientific strategy for further common research activities. Will manage MultiCoop project and coordinate the project activities.